Simple Susie® offers training in a variety of clinical procedures to both nurses and other health care professionals. Intestinal lavage can be simulated. The joints are strong and movements lifelike, even to the extent of permitting pronation and supination of the forearm. Made from the highest quality vinyl plastic with a high degree of resistance to wear and tear. The surface is smooth, impervious to water, oils, and liniments. Available in dark or light skin tones. Use dropdown window above to select desired skin tone. 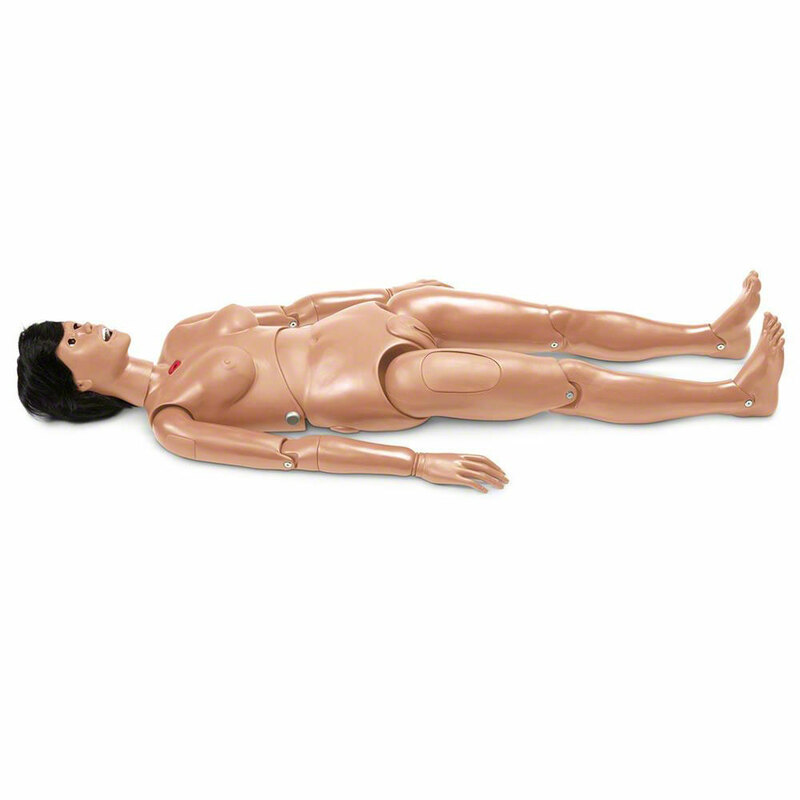 Simple Susie is perfect for training our students in our nurse aide training program. Assembly was needed for the legs into the hips. All the rest was intact. AED shipped her right away. They were also the best price we could find.